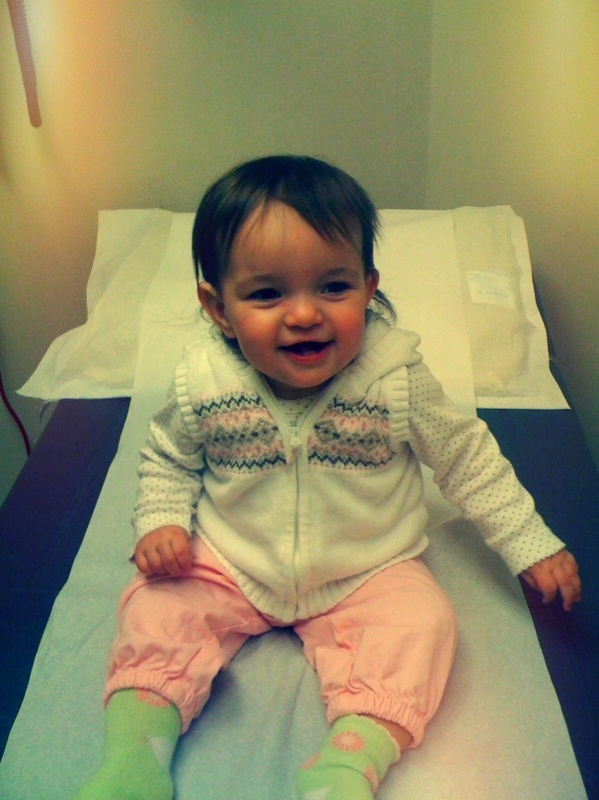 Today was Kathryn's 9 month check-up and she passed with flying colors. She tends to have this habit of rubbing her ears, especially when she's tired but the doc checked her ears out and they're all clear, no infections. She liked inspecting the light on his ear-checking instrument (nice use of technical terms) before she "let" him look at her ears :). No shots at this visit = no tears. Just the diagnosis of a healthy baby girl!